Kristen Van Patten is a multidisciplinary artist and professor living and working in Austin, TX. After receiving his MFA in Painting and Sculpture from the San Francisco Art Institute in 2007, he relocated to Austin in 2010. His work is influenced largely by his interest in Architecture, specifically Modernist Architecture and its successor, the Brutalist movement which asserted its concrete masses into cities from the 1950’s to the mid 1970’s. Some of the elements he utilizes for his ceramics are the strong lines and geometric forms, matte finishes, and the aesthetics of exposed industrial materials such as cast concrete and steel “I” beams. 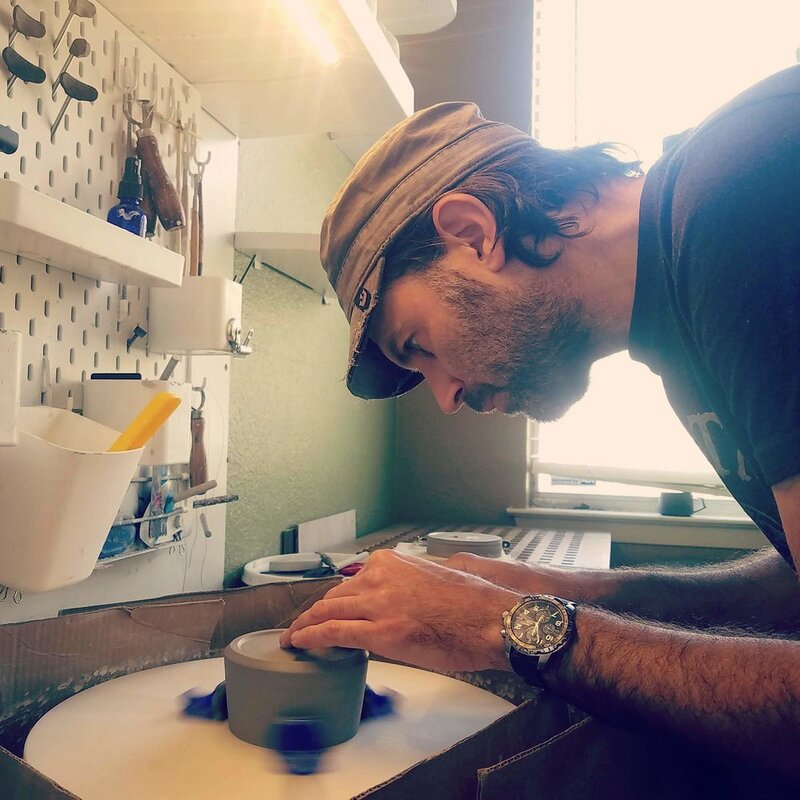 Kristen makes functional and decorative works that challenge him to incorporate a love of modern design and structural engineering into personal, handcrafted, one of a kind objects.